Every once in a while, our patients encounter an emergency situation with their braces or orthodontic treatment. Here, we’ll teach you how to recognize an emergency, and what to do about it! Most orthodontics patients experience varying degrees of pain and discomfort during treatment. 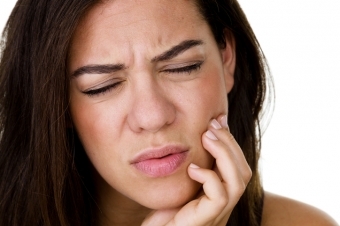 This can mean some mild achy-ness after an adjustment appointment, minor lip and gum irritation as the inside of your mouth becomes accustomed to the braces, and day-to-day aches and pains as your teeth move. Though somewhat annoying, this type of discomfort is not an emergency situation, and in most cases you should be able to treat and sooth it yourself. You can use ice to reduce inflammation and numb soreness, for instance, or you can even take an over-the-counter anti-inflammatory pain killer like ibuprofen. Salt water rinses can also help. Dissolve a ¼ teaspoon of salt in 8 ounces of water, and gently swish portions of it in your mouth, using the full amount over the course of five minutes. For lip, cheek or gum irritation, try orthodontic wax. You can get this from your orthodontist or from your local pharmacy. Apply a small piece of wax to the offending bracket or wire, and massage it into place, creating a smooth barrier between your braces and the inside of your mouth. The above types of pain are largely transitory, and using the methods listed here, you should be able to manage them just fine at home. Typically, you can consider any type of severe pain or appliance damage that you can’t take care of yourself as an orthodontic emergency. If you encounter any of the above issues, contact our office right away. We’ll fit you in for a same-day appointment. In the mean time, ice the affected area and staunch any bleeding. If you are bleeding excessively, go to the emergency room at the hospital. If you have more questions about orthodontic emergencies and what to do, please feel free to contact Langley Orthodontics today.